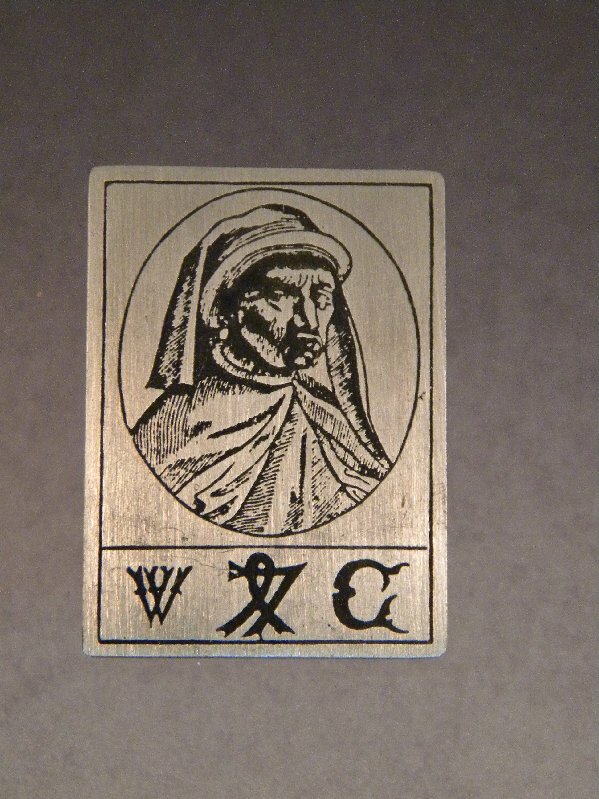 The above photo etched pin is from a woodcut of a one, William Caxton. The symbols are lifted from his various writings he left behind. 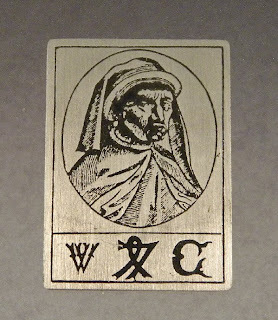 He was born in approximately 1422 and died in about 1491 and accomplished many things. He the kind of person I read about in history and wonder, "why the hell do I even bother trying..." He moved back and fourth between Great Britian and Europe working the weaving and wool trades along with some diplomatic service. 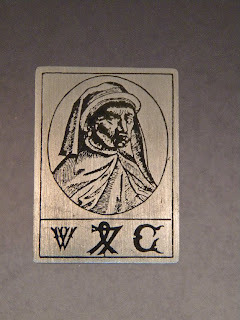 Then he hears about the whole process of printing, movable type, and this Gutenberg guy working in Germany and decides to set up a printing press to print up some books(after writing them and translating them). Then he puts them together and sells them at a place entitled "The Red Pale". I think the "Red Pale" sounds more like a nice beer, but I guess that's the name he chose for the book store, not sure why, information on Caxton is a bit scarce. I don't know about you, but books and beverages sure seem like a natural combination, add some bread and some cheese, and you pretty much are looking at my semblance of heaven. There's more to him than that, of course, but what a guy! History being slightly vague in the 1400's does not give us a full account of his life but it appears he may have been the first bookstore owner(well, of printed, secular, books) in Great Britain. He's one of my patron saints, but I don't think the catholic church is on board with this one, so maybe refrain from lighting any Novena candles this Saturday, for mass to honor him. 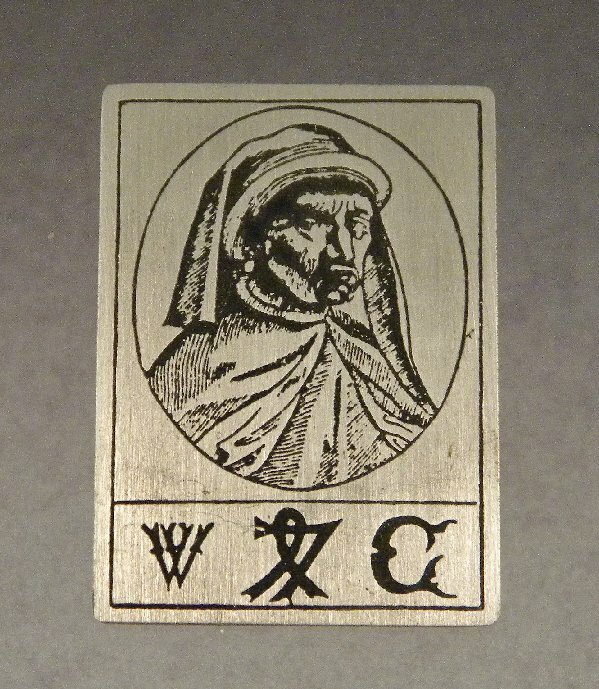 But if you read books, like to wear obscure images to start pointless conversations with people you don't know, this might be the pin for you to wear or get as a gift for a literary minded friend. Shipping is included in the price, along with a small gift bag, as usual the price is $20.00.